PCE Crew, a Nigerian gospel group comprised of five gentlemen based in the DMV area (DC-Maryland-Virginia) released their Sophomore album titled Rewired last year. A few months ago, they generously decided to make one more song from that album available for free (the other free song was Nobody). It's called Praising this God. I own a copy of the Rewired album, and my personal favorites from that album are: Winna and Victorious. But, I think Praising this God is a good song too. 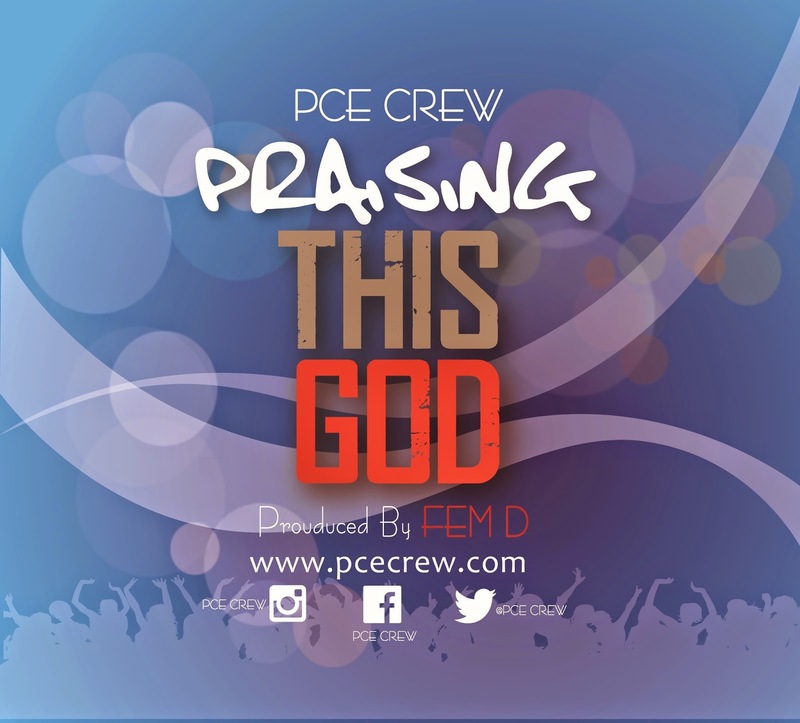 Your favorite Afro Hip-hop Gospel group PCE Crew is out with their 3rd single, Praising this God” from their sophomore album “Rewired” produced by Fem D.
Ever since the release of Rewired, PCE CREW has bagged 3 music award nominations already from the Nigeria Gospel Music Awards and Crystal Awards. The group promises to thrill fans this year exciting content and is inviting everyone who would like to join the PCE CREW experience to listen, download and follow us on Instagram. Enjoy!